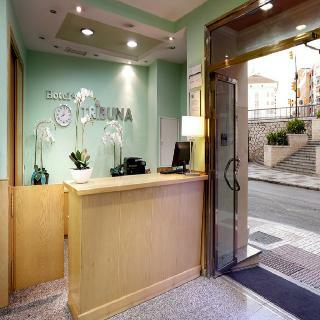 Tribuna Hotel in Malaga, Hotels in Malaga Hotels & Accommodation in Malaga. 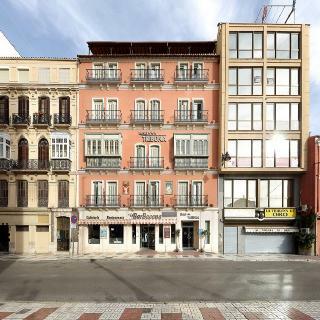 This city hotel is located in the historical centre of Málaga, just a few metres from the popular Larios Street and opposite La Tribuna de los Pobres, a famous viewing spot, where the Tronos (floats) pass by during the Holy Week processions. The beach is just 500 m from the hotel. The hotel provides 43 guestrooms and also has a restaurant, bar and conference facilities. Additional facilities include Internet area, as well as room and laundry services. For an extra fee, guests arriving by car can leave their vehicle in the hotel garage. 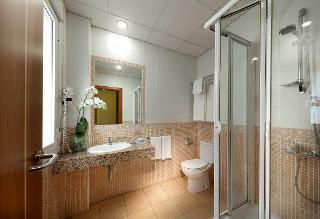 Each of the hotel's rooms comes fully equipped with an en suite bathroom. Additional amenities include TV, WLAN Internet access and minibar. The hotel restaurant, La Barbacana, specialises in traditional Spanish gastronomy, set within the archaeological remains of a Nasrid dynasty wall and barbican, both dating back to the 11th century. Room size (sqm), Bathroom, NO Disability-friendly bathroom, Hairdryer, Toiletries, Wi-fi, Internet access, Direct dial telephone, Minibar, Mini fridge, Individually adjustable air conditioning – , Individually adjustable heating , Safe, NO Wheelchair-accessible, NO Smoking rooms, Smoke detector. NO Small pets allowed (under 5 kg), NO Large pets allowed (over 5 kg), NO Wheelchair-accessible, NO Car park, YES Garage, 24-hour reception, Wired Internet, Wi-fi, Car hire (Not included in price) , Room service, Laundry service, Air conditioning in public areas – , Hotel safe, Lift access, Luggage room.